We are within one week of the 97th annual Lions Clubs International Convention in Toronto! The past month has been a whirlwind of planning and preparing to take on the responsibility of serving as an International Director. I’m pleased to report that our committee has everything ready to go, and I am officially on the ballot; so it’s time for me to re-start my weekly blogs to keep you informed about what I am doing and how I am serving the Lions of the world. 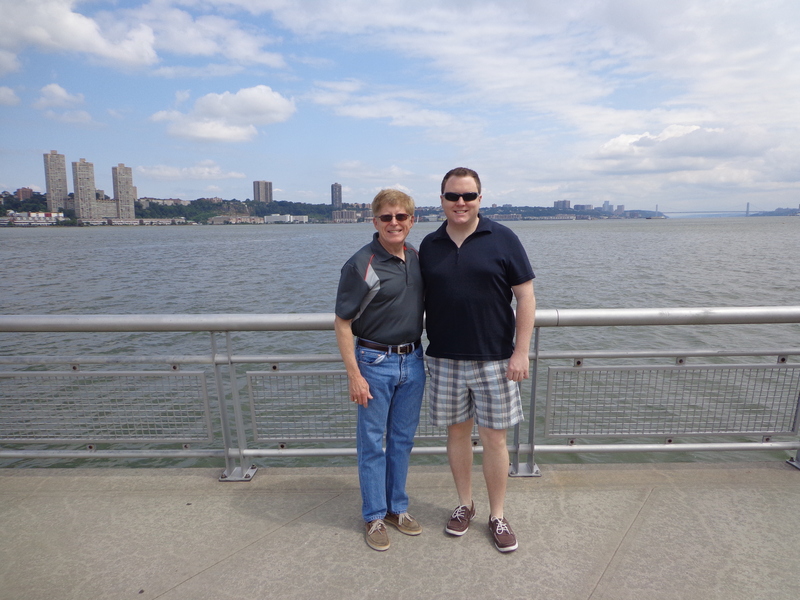 To put June in context, in addition to getting campaign materials and arrangements finalized, this has been a month of positive relational experiences for me: I traveled to New York City to see our son, Brady, attend the wedding of one of my former debaters, and enjoy the reception on the various decks of the Intrepid. 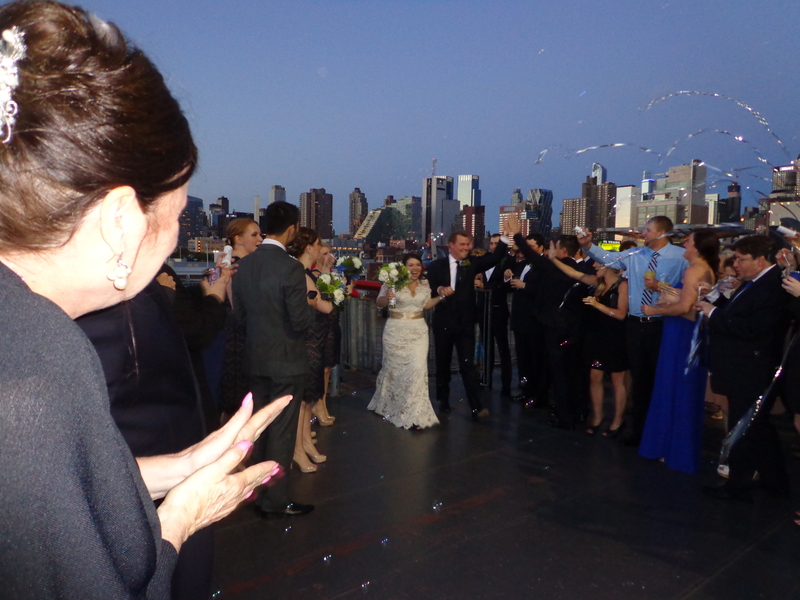 With NYC skyline as a backdrop, Tyler and Amanda Schott arrive on the upper deck of the Intrepid. I coached Shanley High School debaters at the National Speech and Debate Tournament; I celebrated my birthday and mom’s birthday; and we traveled to visit family in upstate New York and attend the wedding of Brady’s best friend in New Haven, CT. All of these activities served as reminders of how essential relationships are to keep us happy and why staying connected to friends and family is important. 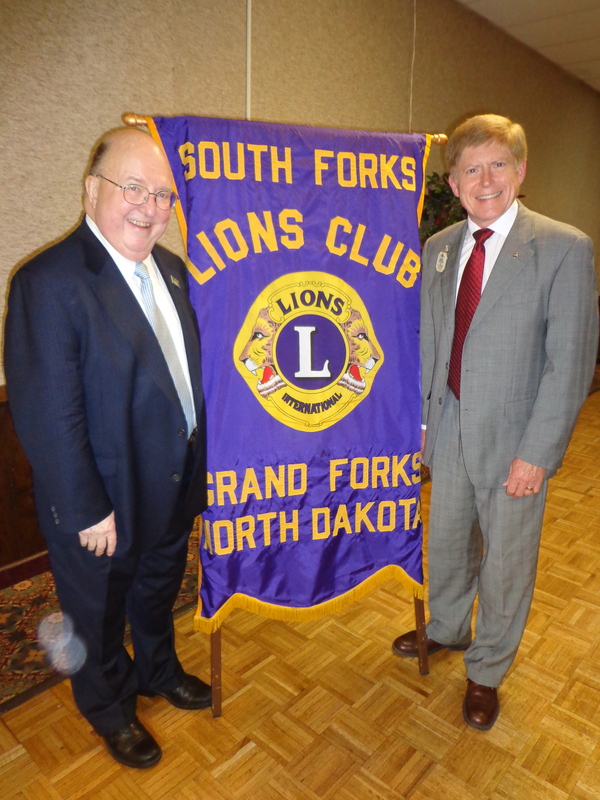 Another special relationship was nurtured this past week when Kathy and I had the opportunity to visit Grand Forks and the South Forks Lions Club as it celebrated its 50th chartering anniversary. What made the event especially enjoyable was having the opportunity to reconnect with an old friend, Past International Lions President Bill Biggs who returned to help the South Forks Lions Club celebrate. PIP Bill Biggs has never forgotten his Lion roots, pictured here with ID-Elect Robert Littlefield. Other Lion leaders were present, including Past International Director Bruce and his wife Julie Schwartz, and District Governor Katherine Tweed. As always, Past President Biggs captivated those present with stories of commitment and service. He reminded us that the real heroes in our society are not those who garner huge salaries or find themselves on the covers of magazines; but the men and women who serve our country, at home and abroad, in a variety of capacities. You always know where he stands and you cannot help but be inspired. I was pleased to be invited by Past President Biggs to say a few words during the Melvin Jones Fellow presentations that took place; and I earlier acknowledged the 50-year commitment of the South Forks Lions, the fondness I have for the Lions of Grand Forks due to our close associations over the years, and my sincere appreciation for their presence and support at the MD5 convention in Watertown. 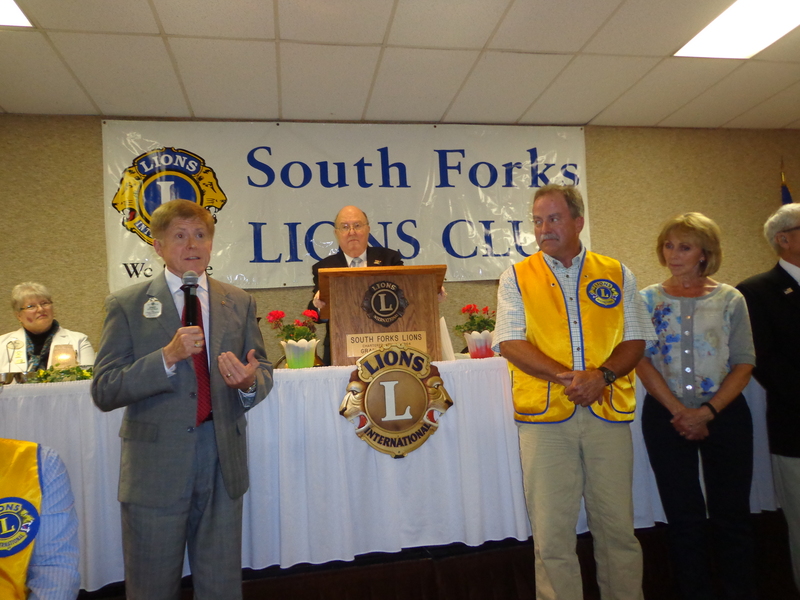 Sharing a few words with the Grand Forks Lions about what being a Progressive Melvin Jones Fellow means to me. As I write this entry, some Lion leaders from our Multiple District are en route to Toronto to begin District Governor training. Soon MD5 will have a full contingency of representatives ready to participate in the convention and vote in the election. To all who are traveling, be safe and be sure to make connections with others from our district who are attending. We look forward to having you share with us all of the fun and excitement that this convention has to offer. In closing, I invite you to follow my blog in the weeks and months ahead. I plan to post a new entry describing people, places, and activities each week. I hope to include photos from my travels and insights into how Lions are serving in their communities. Please feel free to share your comments and join with me in this endeavor.